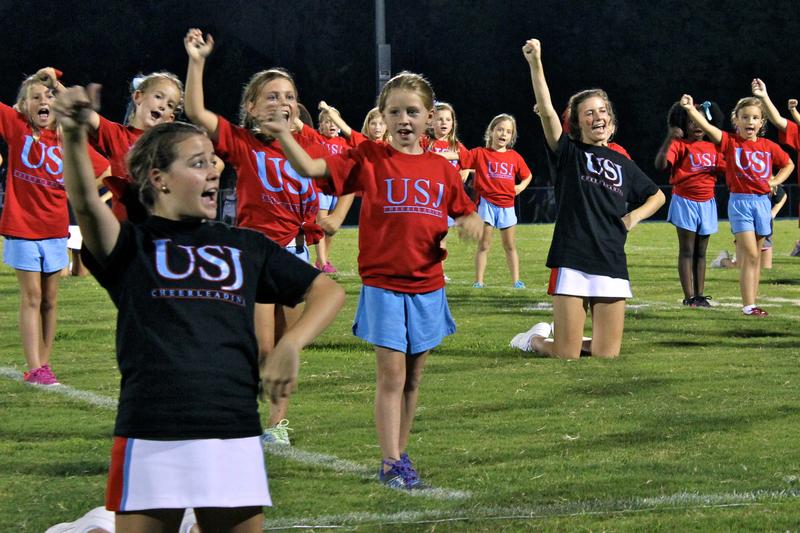 Arts Guild captured the Bruins Cub cheerleaders showing their support at the TCA game Friday night. We love taking pictures here at AG and have photographers at all arts events and some general school events. If you ever want to purchase prints or low res downloads for your Facebook page or just view photos from an event, click the “Buy Prints” heading at the top right of the blog and that will take you to the photo gallery. We have changed the arrangement of the galleries to save on shipping costs. Galleries are now divided by school. HINT: If you know your child will be in several plays and musicals, wait until after their final event to buy prints. You’ll then only have to pay for shipping one time. Each campus will incur it’s own shipping charge. Low res downloads can be purchased at any time. All proceeds support the arts at USJ. Let us know if you have any questions or suggestions in the comments. We love hearing from you!